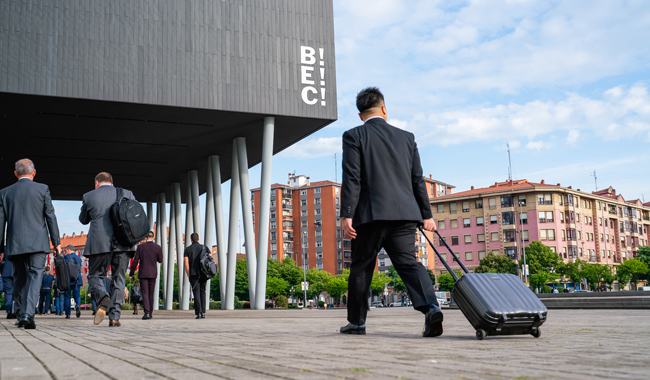 Ten trade shows to be held at the Bilbao Exhibition Centre in 2019 have been recognised by the Ministry of Industry, Commerce and Tourism for their international profile. The Ministry has issued a favourable report for Industry Tools by Ferroforma, Subcontratación, Tendencias Creativas, and World Maritime Week, events which have been awarded for being “fully international”. On the other hand, Addit3d, Expovacaciones, Fitmaq, Maintenance, Polveri Ecocoating, and Pumps & Valves Bilbao have received the International Customs Award. The “Fully International” category is linked to meeting certain requirements such as having held three editions, proving that the number of direct foreign exhibitors is at least 10% of the total exhibitors, or that at least 5% of the visitors are foreign visitors, and that there is an upward trend for both of these parameters. They also need to have support from the sector, and the event must enable the acquisition of new technologies and posses a positive report from the Regional Commerce Office and the ICEX. In addition to the prestige and quality guarantee provided by a recognition of this type, being fully international has other advantages as it is considered as an indispensable requirement by official institutions and business organisations in order for them to promote the events and approve grants or aid to the exhibiting companies. In the second block, the International Customs Award provides customs facilities for the exhibited goods involved in Community transit, and they are exempt from paying fees in Spain. Both concessions grant a key distinction to the events that are aimed to invigorate and put on display products, activities and services to both the professional and the general public, thereby being a fundamental tool for the internationalisation of the companies taking part.